We’re giving away some tools! Since we love the craft of fine woodworking, we want to share the love with our customers. 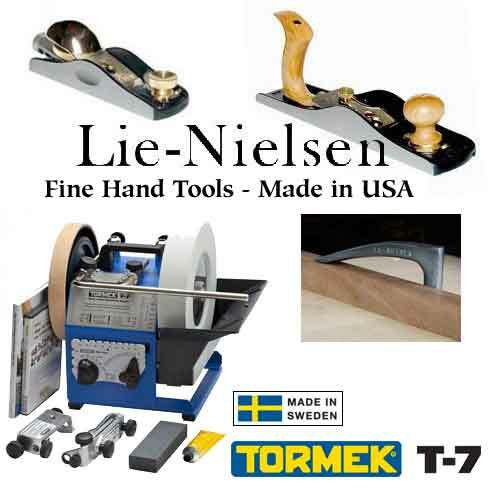 To do this, Highland Woodworking is giving away 3 of our most popular Lie-Nielsen tools, plus the highly-rated Tormek T-7 Wet Grinder Sharpening System to one lucky customer. TOTAL VALUE of the Lie-Nielsen – Tormek Giveaway is $1099.